Recently a new online divorce system has been rolled out across England and Wales and following a testing phase last year, online divorce is now an option for many people who can choose to make their applications from home. So, what does this mean and could it be something that could help you if you’re considering a divorce? The latest initiative in the government’s £1bn modernisation programme, the online divorce process allows couples splitting up across England and Wales to complete their applications on a website without going to court. The new system has been heralded as helping to reduce the stress of going through a separation as it lets couples upload documentation from their homes, reducing time and keeping pace with modern day life. The language has also been simplified for the digital application and individuals can make payments and upload evidence. Based on early feedback there seems to be little doubt that the new system is popular. Last year’s pilot scheme saw 1000 applications made and Sir James Munby, president of the family division hailed it as a ‘triumphant success’. So, is it a good or bad thing? Whilst the online divorce process is to be welcomed as a move to modernise, there is still a long way to go. Perhaps if the government’s aim was to take the stress out of divorce proceedings, attention could have been more appropriately directed to reform of the divorce law itself. Currently, to obtain a divorce quickly one of the parties must allege that the other is at fault. As many people will vouch, it is this element that causes a huge amount of distress introducing feelings of recrimination and bitterness. No fault divorce has been widely campaigned for and most agree, is fundamental to a more manageable, painless and generally improved divorce process. Accessibility also brings its own problems as many will believe that the divorce application is the beginning and the end of the separation. It is still crucial that parties get advice regarding finances. Failure to do so could mean they are missing out on their share of assets, or are leaving themselves open to financial claims. In summary, online accessibility is crucial for keeping pace with modern life however no fault divorce must become a priority. Likewise, getting the right legal advice at an early stage remains crucial in respect of financial matters, even if the parties then decide to prepare the papers themselves as taking these steps could save problems in the future. 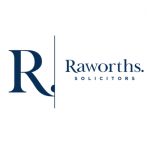 For any advice on any aspect of Family Law please contact Raworths on 01423 566666.